When Lucy's secret is unearthed, her world begins to crumble. But it may be the best thing that has ever happened to her. Lucy Alling makes a living selling rare books, often taking suspicious measures to reach her goals. When her unorthodox methods are discovered, Lucy's secret ruins her relationship with her boss and her boyfriend James—leaving Lucy in a heap of hurt, and trouble. Something has to change; she has to change. In a sudden turn of events, James's wealthy grandmother Helen hires Lucy as a consultant for a London literary and antiques excursion. Lucy reluctantly agrees and soon discovers Helen holds secrets of her own. In fact, Helen understands Lucy's predicament better than anyone else. As the two travel across England, Lucy benefits from Helen's wisdom, as Helen confronts the ghosts of her own past. 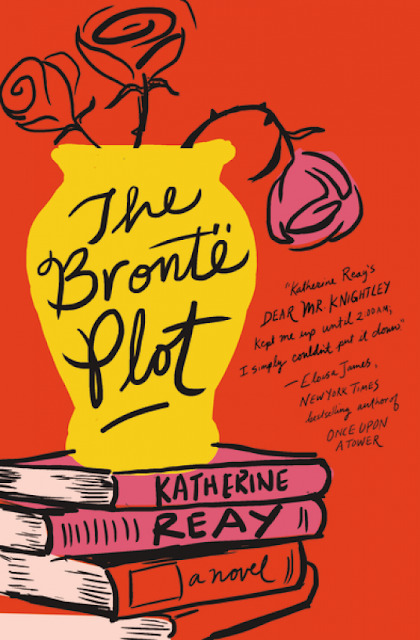 Everything comes to a head at Haworth, home of the Brontë sisters, where Lucy is reminded of the sisters' beloved heroines, who, with tenacity and resolution, endured—even in the midst of change. Now Lucy must go back into her past in order to move forward. And while it may hold mistakes and regrets, she will prevail—if only she can step into the life that's been waiting for her all along. This is one of those books that made me feel as though I had read it before, although I am sure I have not. The story is well written, but for some reason it just didn't gel with me as a reader - maybe it is because of the style it was written in, or perhaps it was some other thing that I cannot put my finger on. Lucy is the selfish and manipulative heroine (if you can call her that) and swindles her way into getting valuable books and artefacts for her trusting boss without his knowledge. It follows her journey, with her ex-boyfriend's grandmother to England and into the lake district, where her favourite authors lived, wrote ... existed. And, to re-acquaint herself with her estranged father, whom she hadn't seen since she was eight years old. Sadly, her father is everything her mother said he was, he hasn't changed - and is still a swindler. She doesn't want to be like that, like him. And she vows to change. But can she? I have to say that I didn't like Lucy, in fact, I didn't particularly like any of the characters in this book - it all seemed forced. And, maybe that's the style of the Bronte's or whomever this book was based upon, but its not a style of writing that I enjoy. I know there are plenty of good reviews out there, and I really would have liked to have written a good review, but sadly, I just didn't like this book enough to be able to write one.